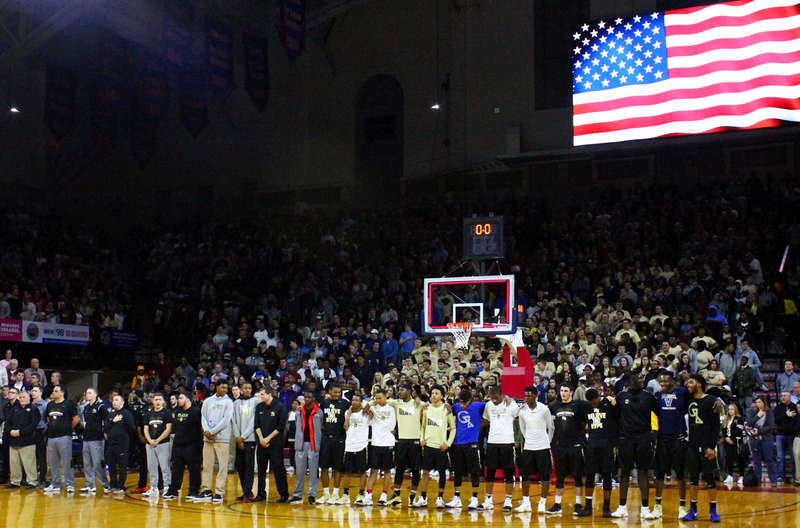 The Neumann-Goretti Saints stand with arms linked for the National Anthem. Neumann senior Mike Millsip passes the ball. 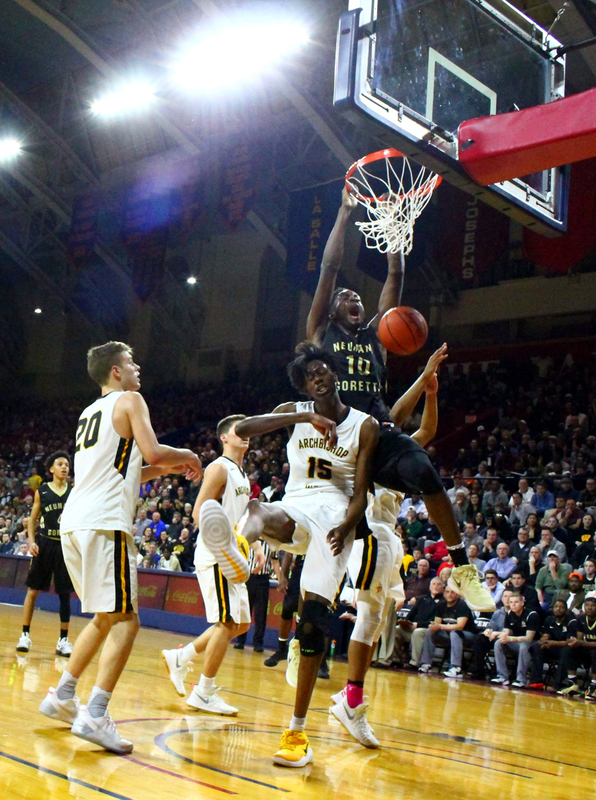 Wood senior Keith Otto attempts to block Neumann-Goretti junior Dhymir Montague. 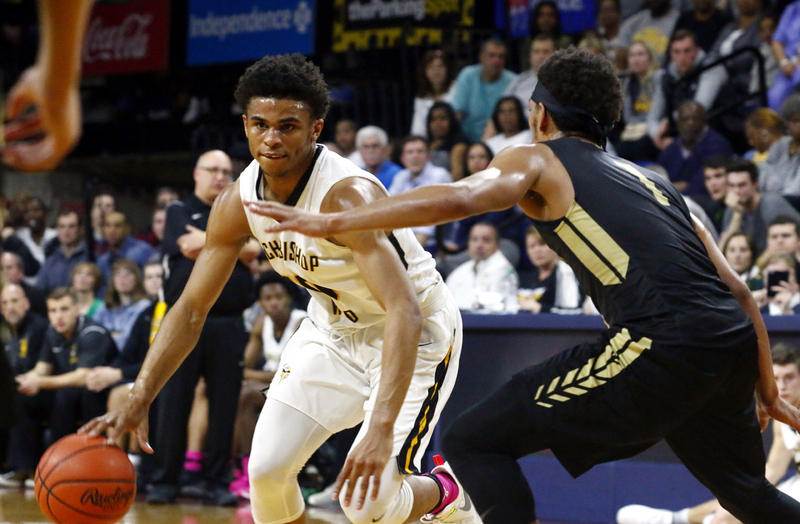 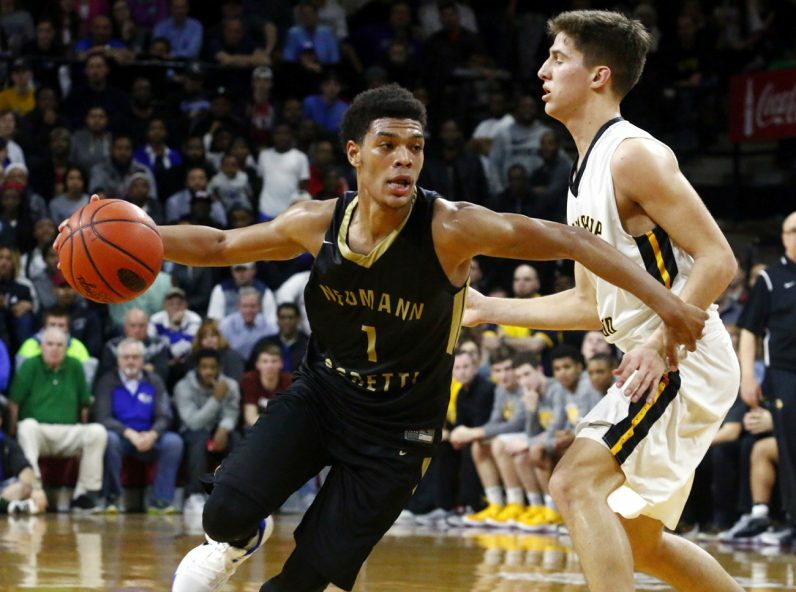 The Saints’ Quade Green keeps control of the ball with pressure from the Vikings as he tries to drive to the basket. 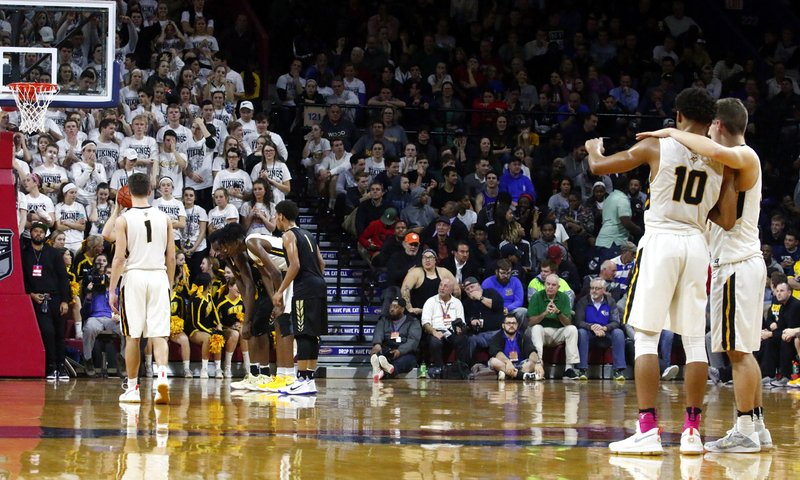 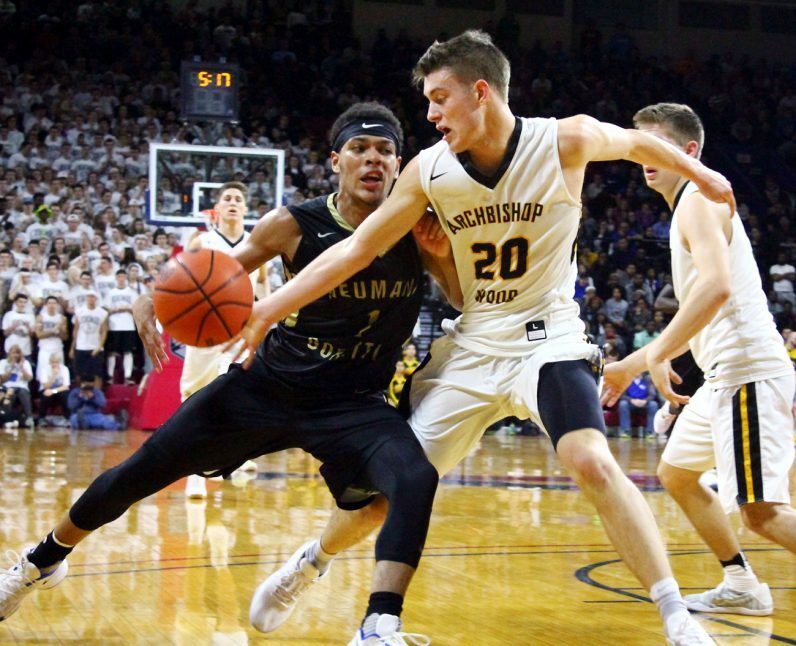 Neumann’s captian Quade Green charges the basket. Six-foot, 10-inch Wood sophomore Seth Pinkney hands the ball off to senior Collin Gillespie. Wood’s Tyree Pickron and Keith Otto (right) talk strategy as their teammate takes a free throw. 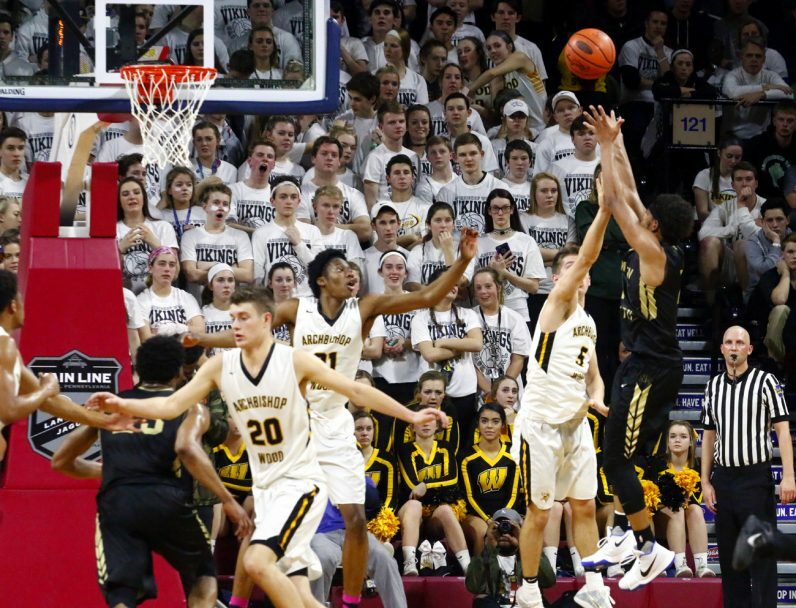 Wood junior Andrew Funk sinks a shot, helping the Vikings win the championship game. 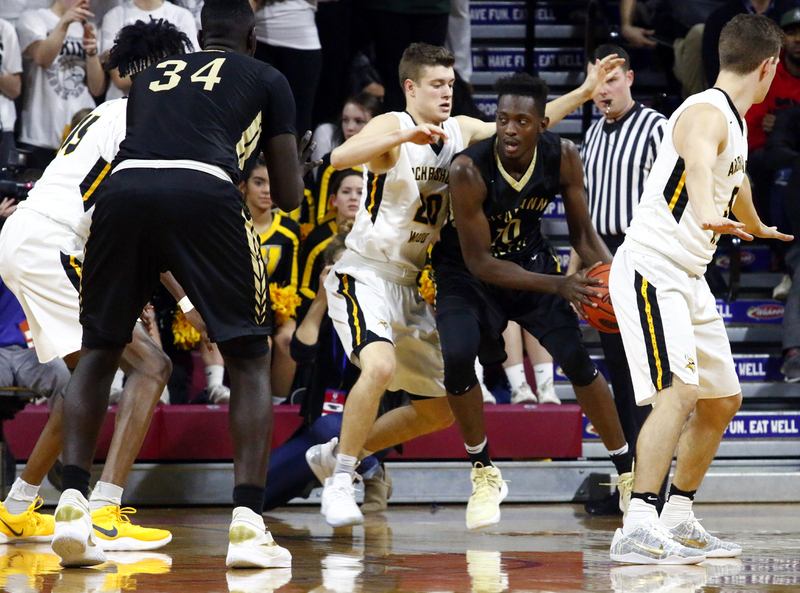 The Vikings’ Seth Pinkney attempts to block a shot by the Saints’ Dhamir Cosby-Roundtree. 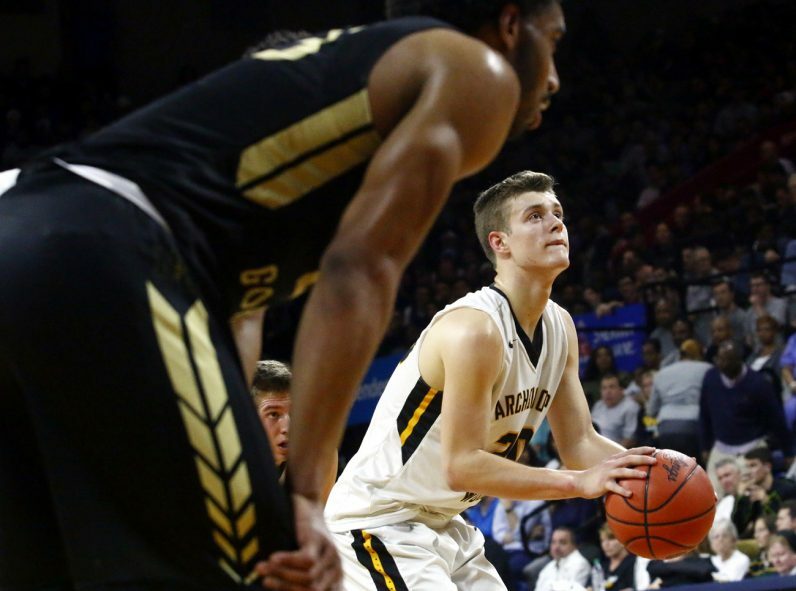 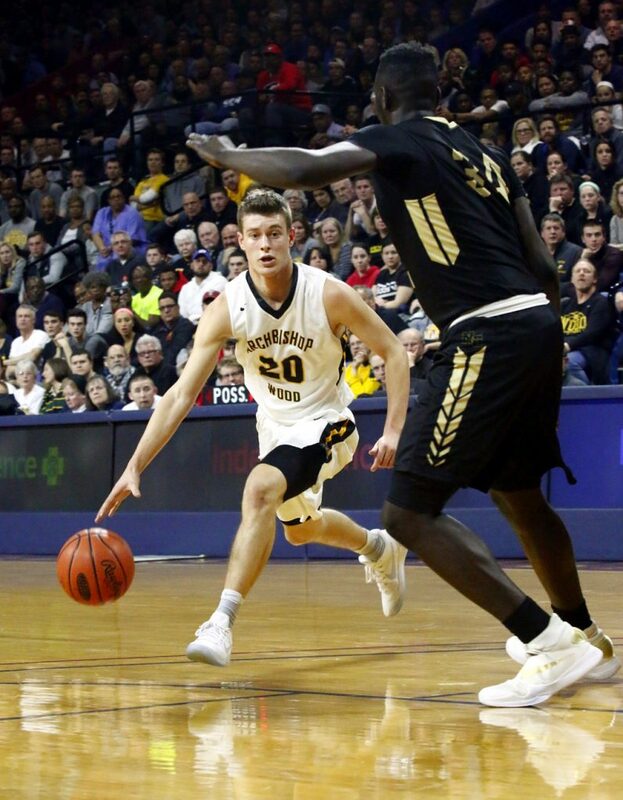 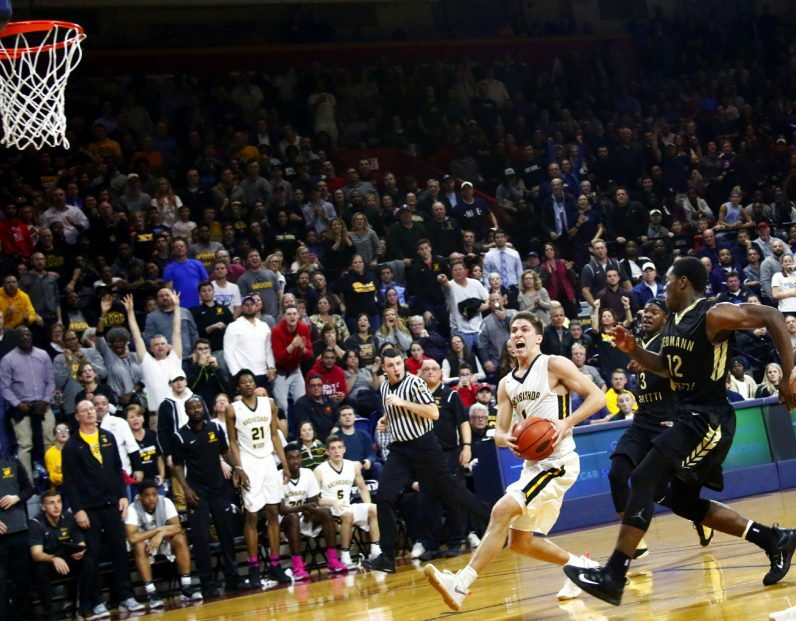 Wood senior Collin Gillespie was one of the stand out players of the Catholic League Championship held at The Palestra. 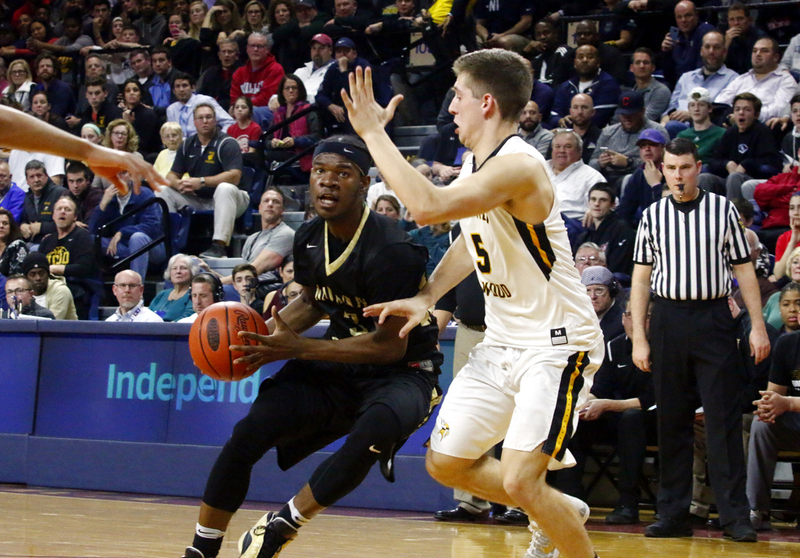 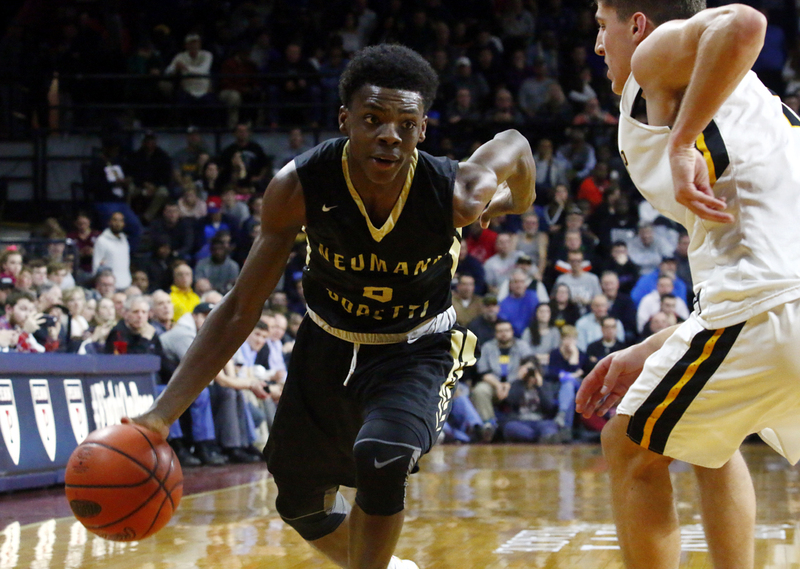 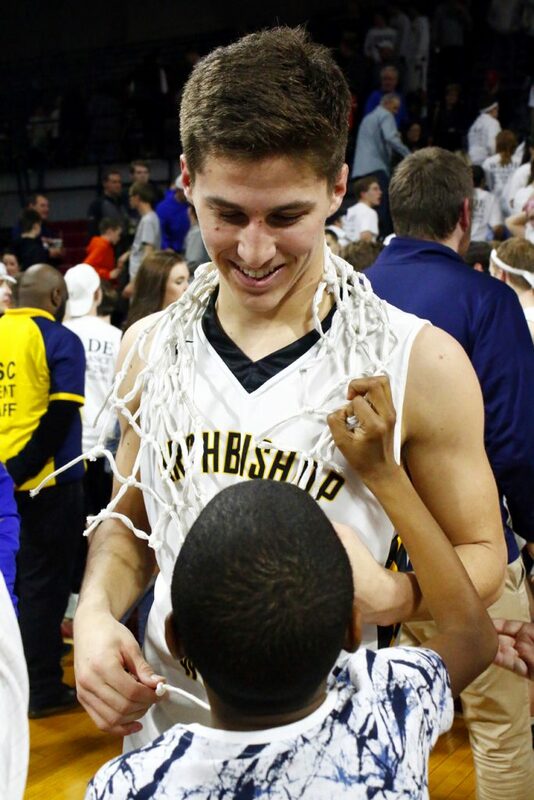 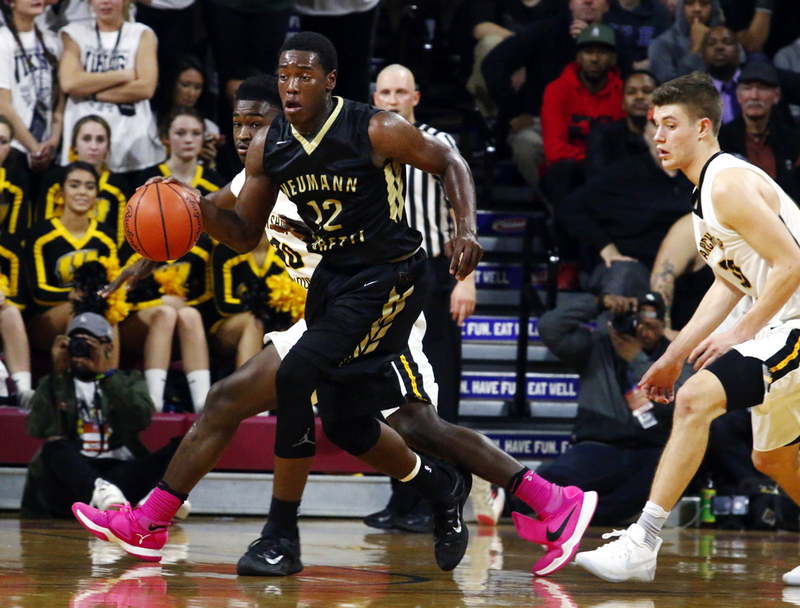 Wood senior Matt Cerruti covers Neumann-Goretti’s Dhamir Cosby-Roundtree. 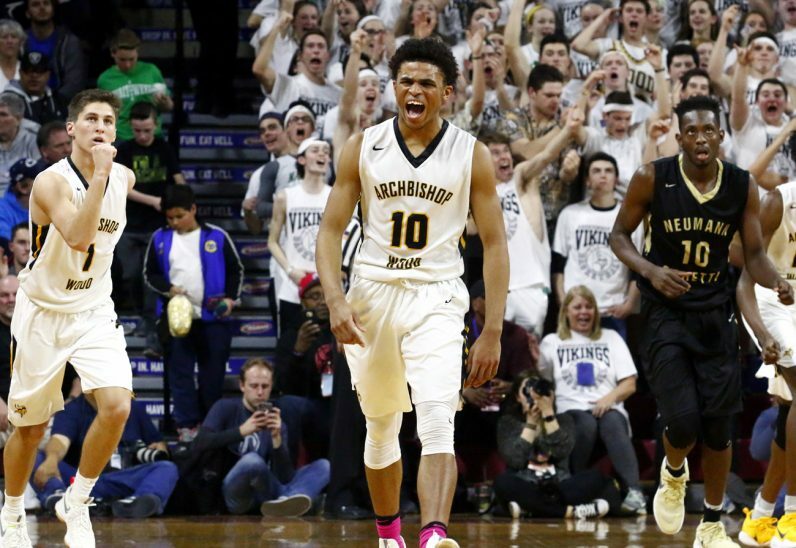 The Vikings’ Tyree Pickron gets hyped as his team closes the gap on the Saints. 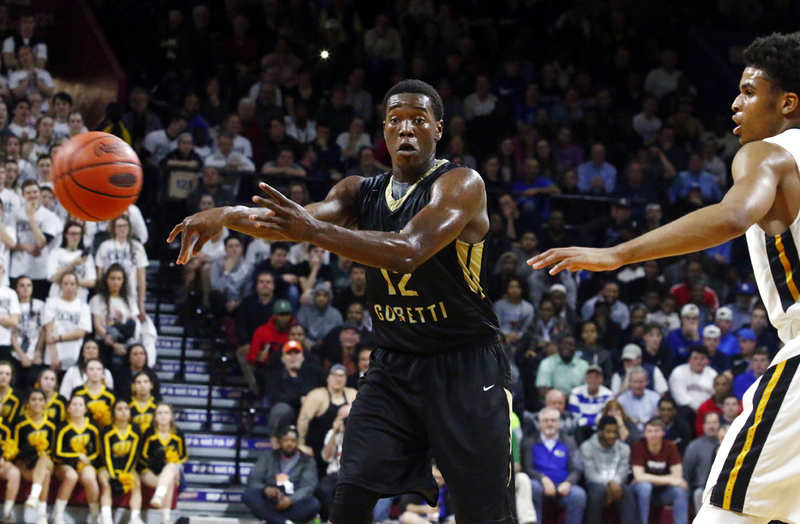 Wood senior Matt Cerruti gaurds Neumann-Goretti senior Quade Green. 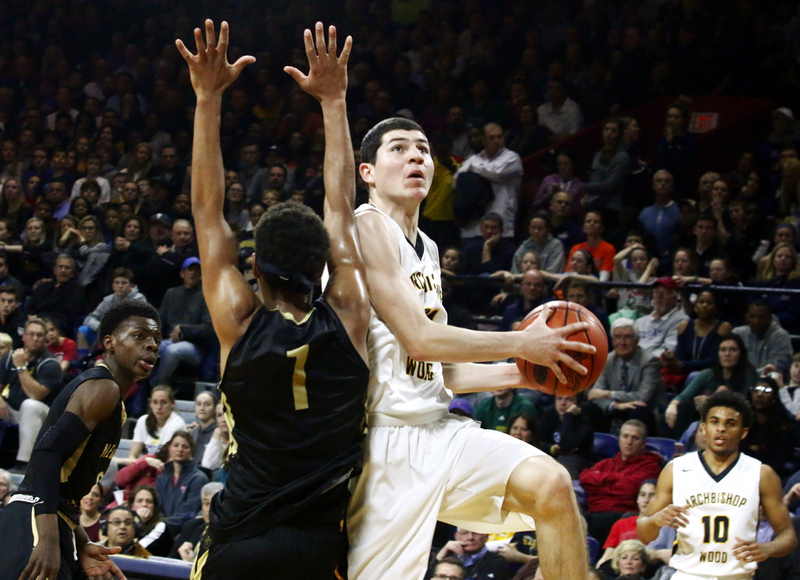 Wood junior Andrew Funk goes for a lay up. 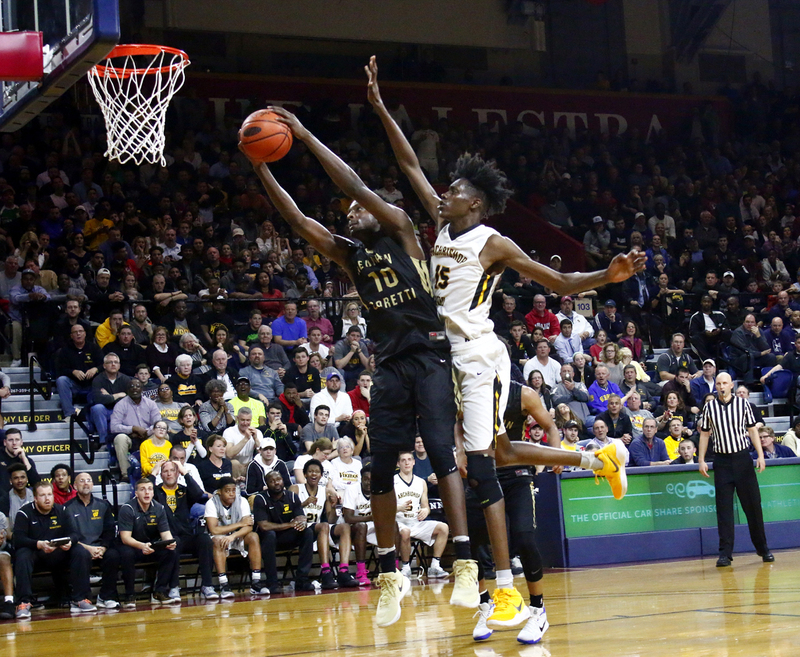 Dhamir Cosby-Roundtree slams home a shot to give Neumann-Goretti the early lead. 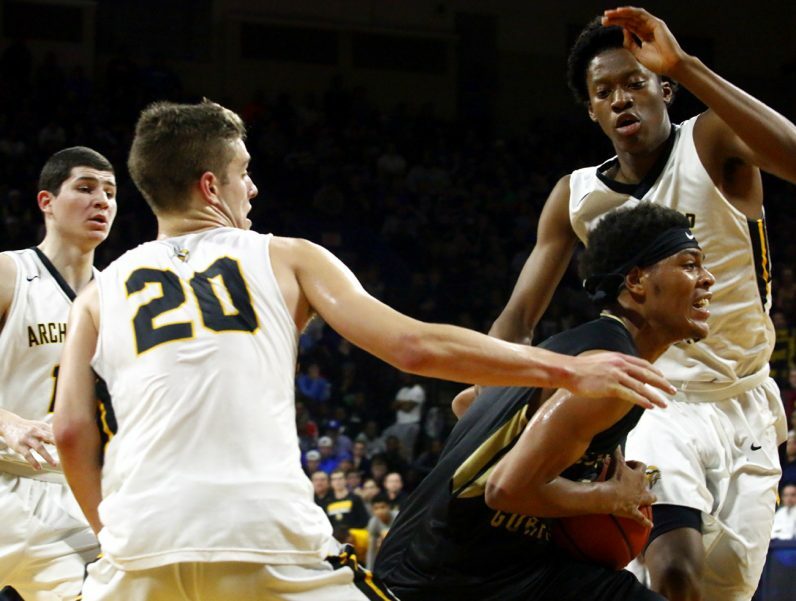 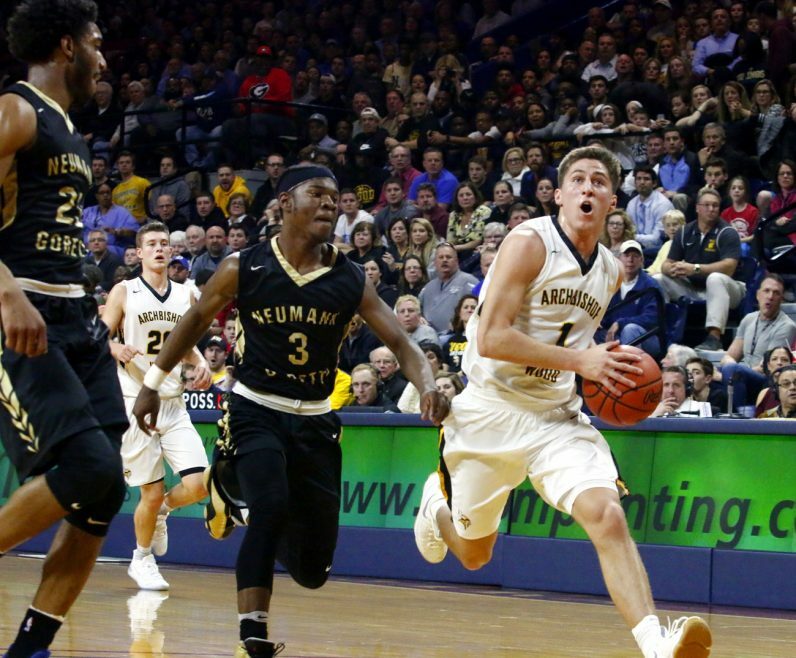 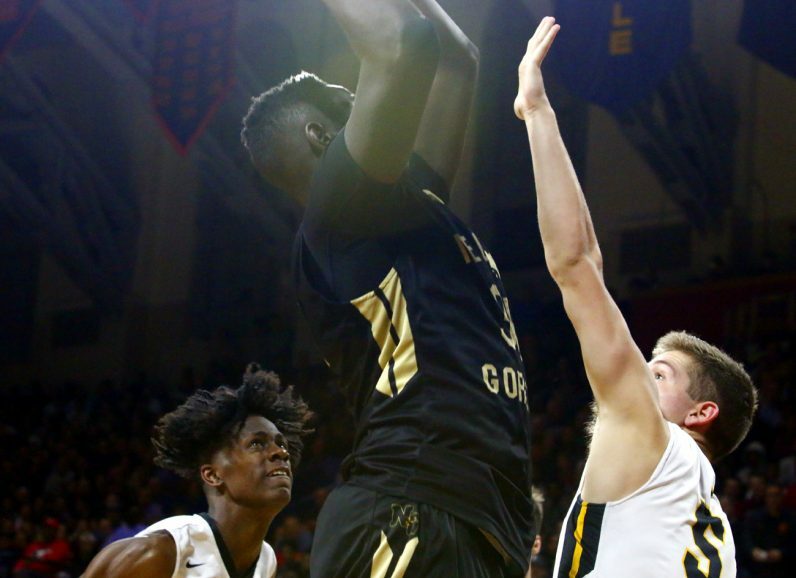 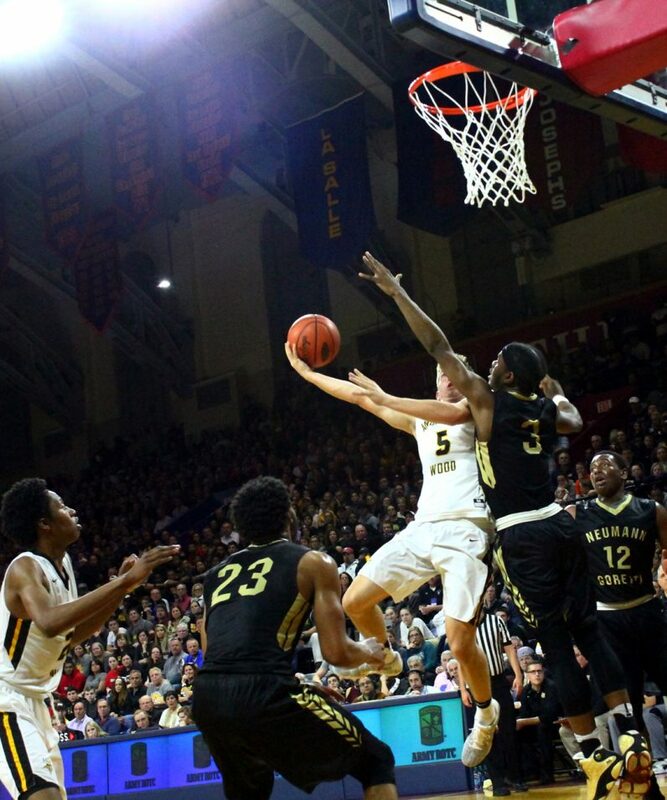 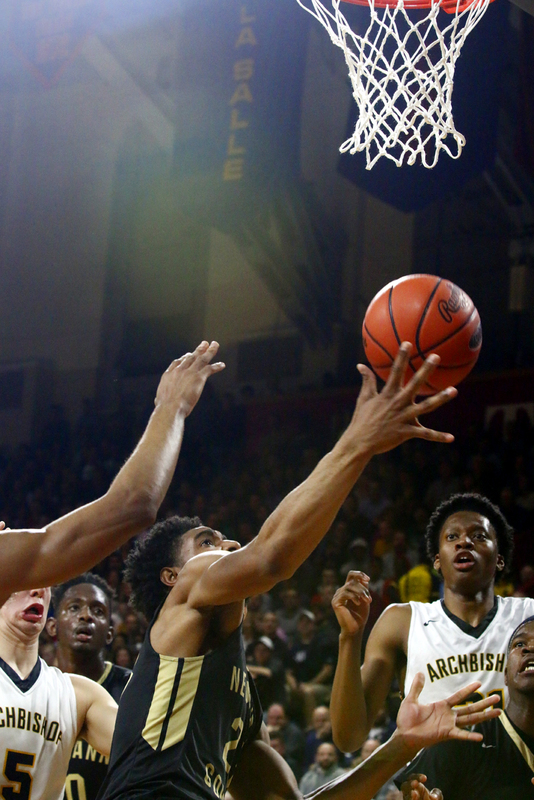 Neumann-Goretti’s senior captain Mike Millsip heads to the basket. 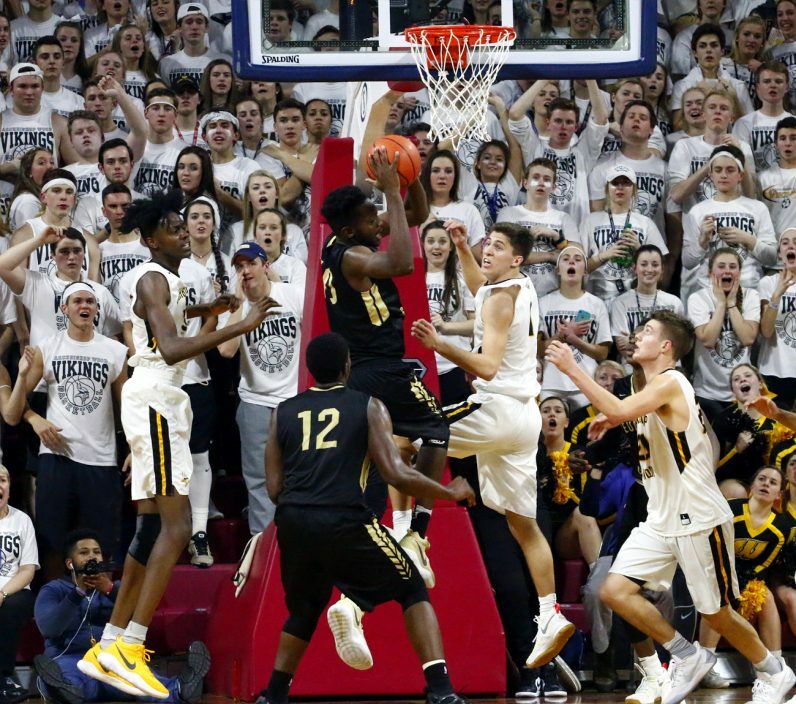 Wood senior Collin Gillespie charges the basket with Neumann junior Dhymir Montague on his heels. 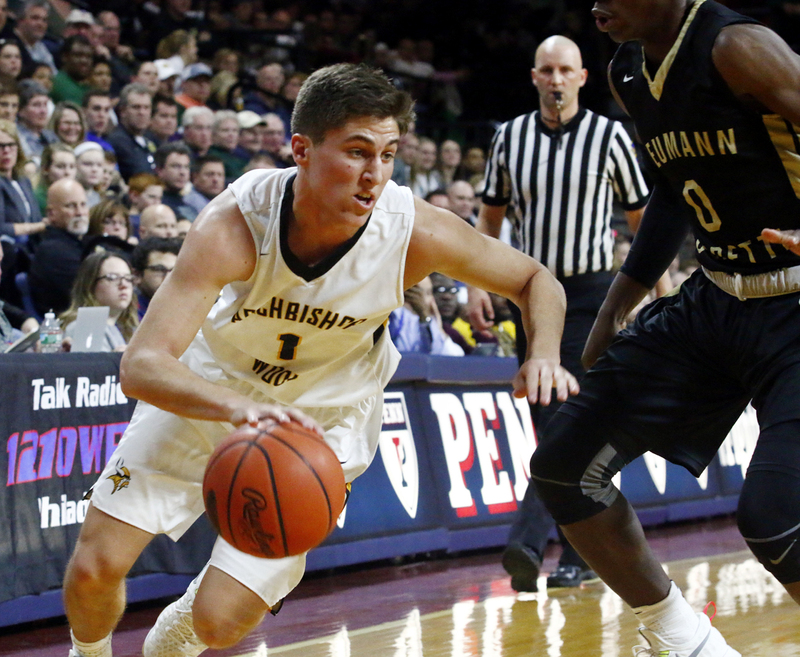 Wood senior Matt Cerruti dribbles the ball to set up a shot. The Vikings’ Tyree Pickron handles the ball while pressured by the Saints’ Quade Green. Wood senior Matt Cerruti makes a free throw helping to close the gap in the first half. Wood senior Keith Otto tries to shoot over the defense of Neumann-Goretti’s Dhymir Montague. 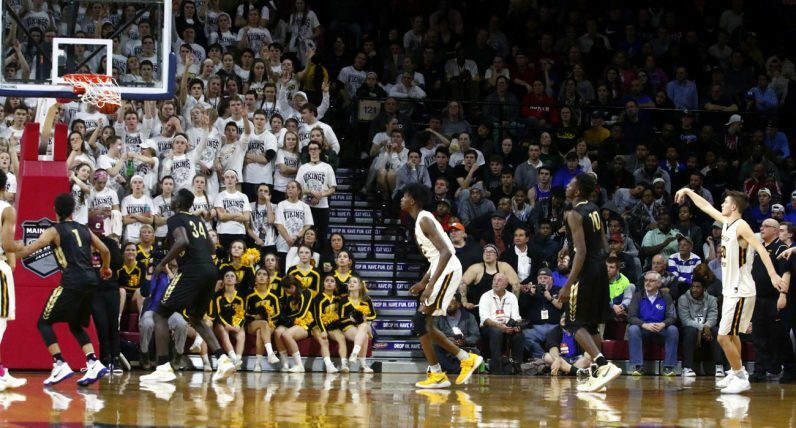 Senior Matt Cerruti sinks one of many three pointers for the Vikings. 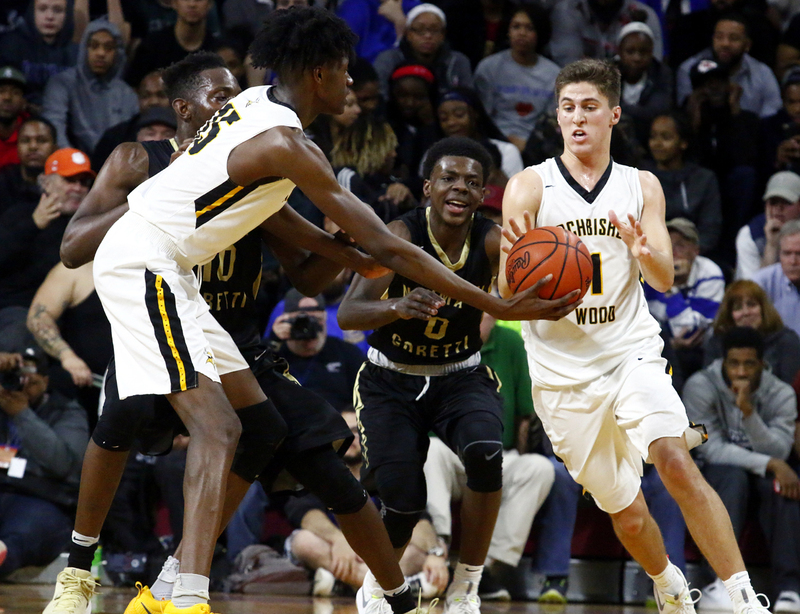 Wood senior Collin Gillespie drives to the basket to help his team climb back from a deep first-half deficit. 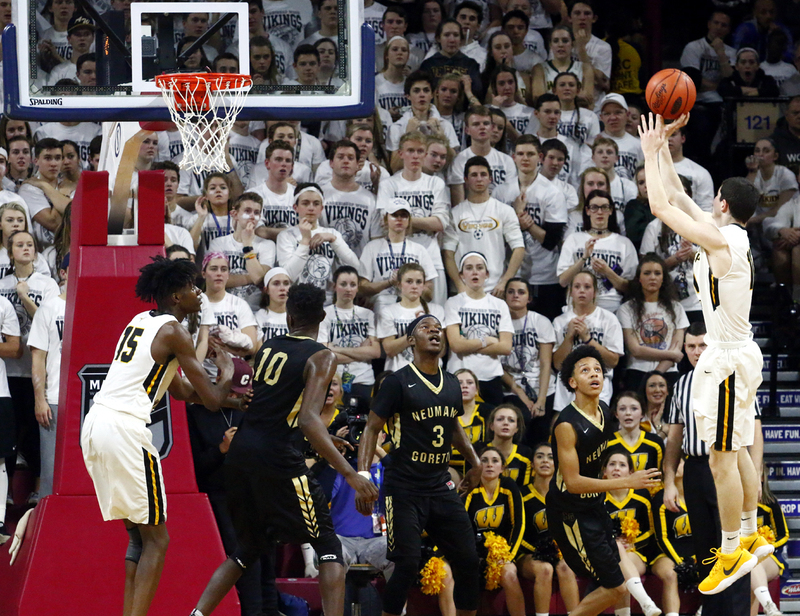 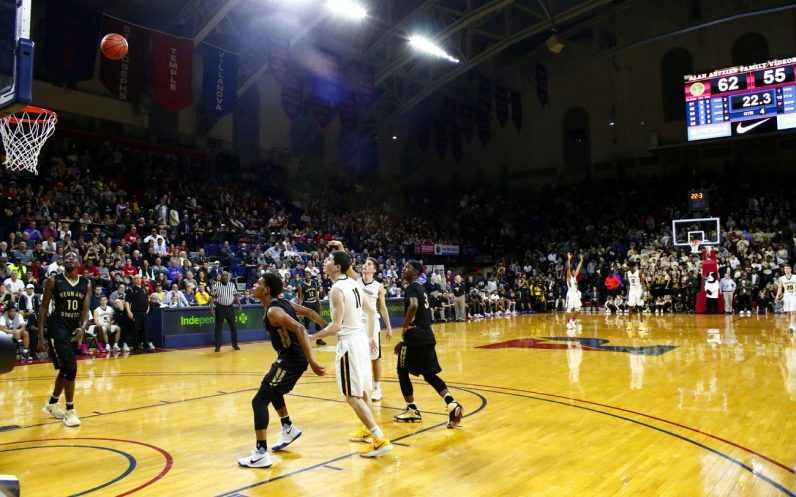 Collin Gillespie sinks a foul shot with 22.3 seconds left in the game to ensure Wood’s victory over Neumann-Goretti. 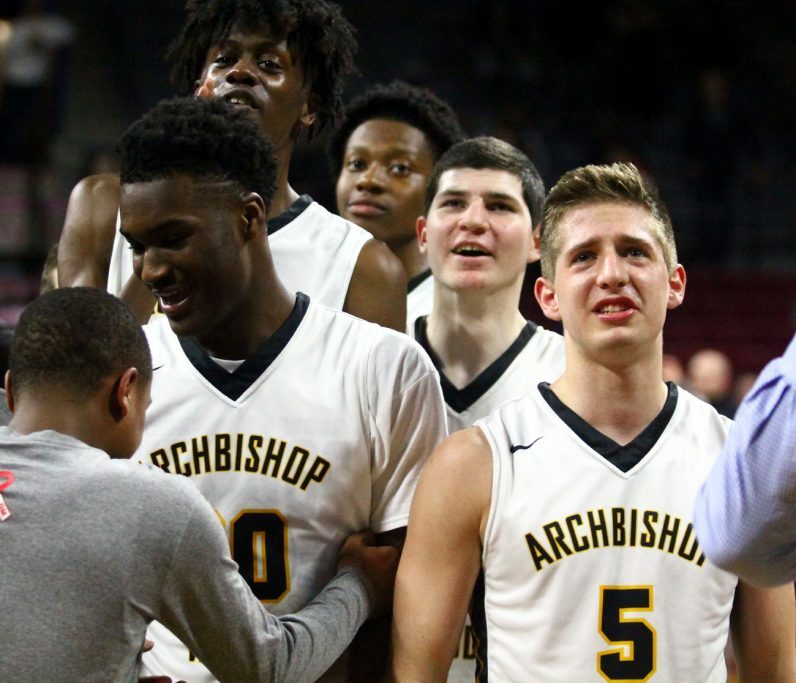 Wood teammates look to the scoreboard as the reality sinks in that they won the Catholic League championship. 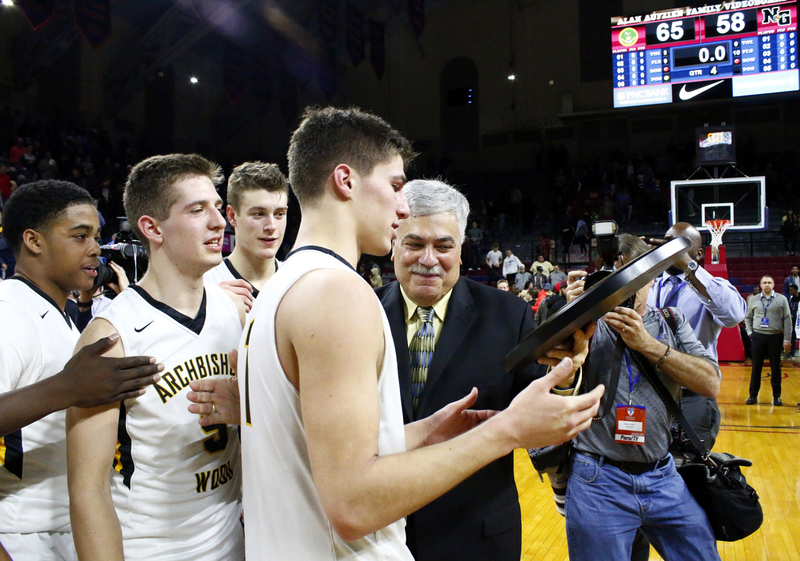 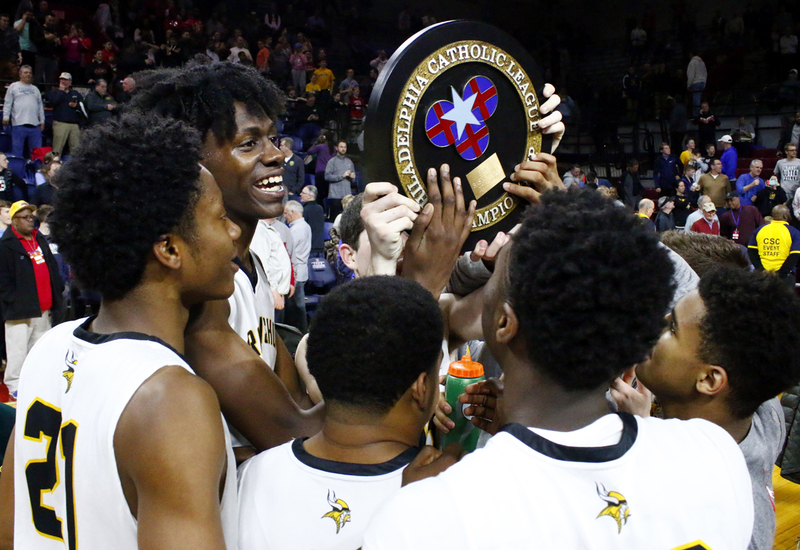 The Archbishop Wood team receives the championship plaque.